I first read this book in 1976 and became an immediate fan of Harlan Ellison’s work. Shortly after reading the book I attended my first convention, met Mr. Ellison, and had him sign that book. Since that time I think I’ve read every collection the irascible writer has published. But I recently decided to go back and see read this ‘first’ collection again to see how it stood the test of time. The title story, about a crazed computer torturing the last five humans on earth is just as powerful now as it was forty years ago. “Eyes of Dust” is one of those stories that has stayed with me a very long time and yet it’s rarely discussed or reprinted (and Ellison reprints EVERYthing). “World of the Myth” is one I’d forgotten about, but enjoyed it – probably more now than I did originally as I’ve come to enjoy dark fantasy/horror more since then. And “Lonely Ache” is a title I remember, but I had forgotten the story. “Pretty Maggie Moneyeyes” is a story you don’t forget one you’ve read it and is the sort of story that really defines Ellison – both as a writer and as an individual (or at least the individual he presents publicly). It really sets a tone that draws the reader in. One thing that I would never have realized as a fifteen year old reading these stories the first time, is how misogynistic the stories (and Ellison) tend to be. Were I to read these for the first time today, I’d still be impressed with the power of prose Ellison wields, but I’d be less inclined to continue to read him because of his views or at least the literary treatment of women he presents. It’s hard to separate the man from the writing – especially when that man has tended to be so public and verbose and combative – but if you can, and want to read some tremendous, edgy fiction, then you should check this out. Looking for a good book? 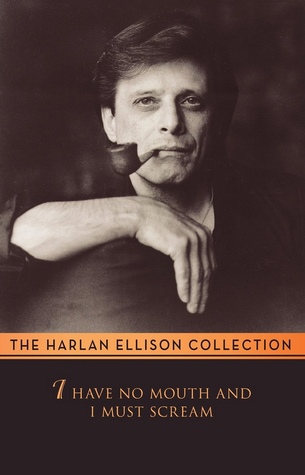 You should read Harlan Ellison’s I Have No Mouth and I Must Scream not only because it’s a classic, but it contains some tremendous writing.